Yes following the LayOut launch, I'm on a roll today. 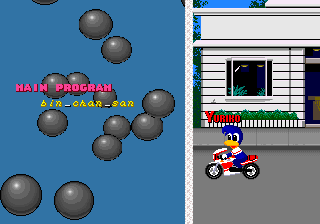 I'm not a big fan of Dynamite Dux, it's one of the weaker AM2 titles from the late 80s. However, knowing it was coded by Satoshi Mifune (aka Bin Chan), I knew there might be some goodies locked away waiting to be found. 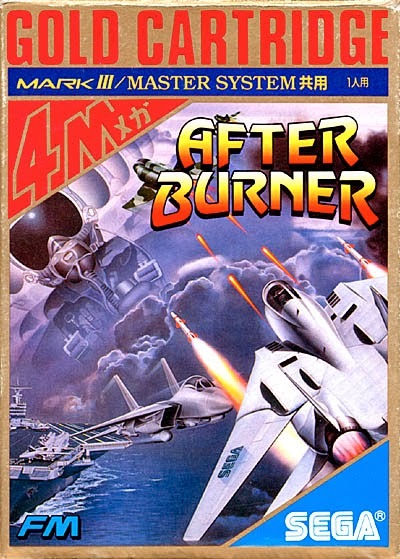 This is one of the best AM2 extras I've found. 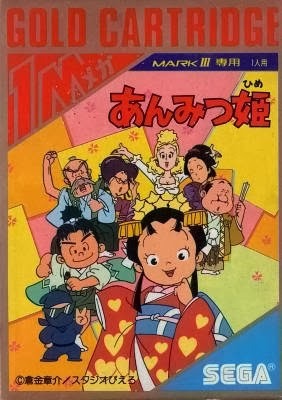 It's an oldskool demo sequence with caricatures of the team. 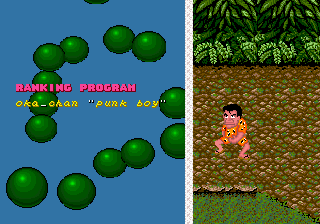 To activate the sequence, you need to complete the game. 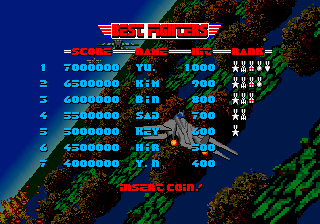 On the Congratulations screen, hold player 2 start and press Player 1 start exactly 15 times. I've uploaded a video of the complete sequence to youtube here. It's finally here. 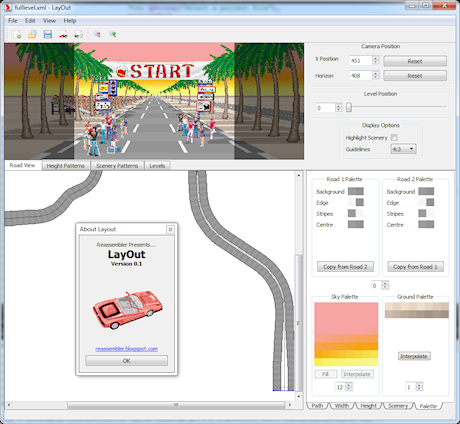 Create your own OutRun tracks and edit the original ones. Export and play tracks using CannonBall. Export to original arcade ROMs coming soon. 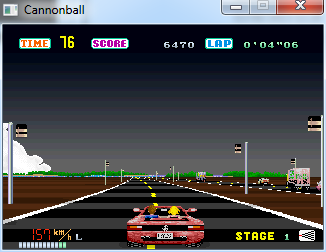 You will also need the latest version of CannonBall. You will definitely need to read the manual. And I'd welcome input to make the manual clearer. There's a new forum here. Hopefully this will be a more useful place to post tracks, report bugs and ask questions than the blog comments. Thanks to Steve (Tipus4u) for volunteering to set this up and provide the hosting. I'll focus on LayOut support and fixing the inevitable bugs that will be found. However, I need to take a break from LayOut in terms of implementing new features for a short period. 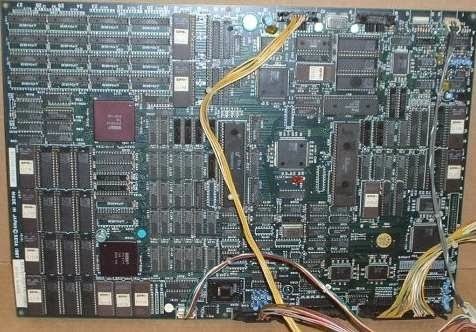 I have an exciting hardware/software project planned that I'm working on with Colin from the Jamma+ forums. I'll post some details on that in due course. 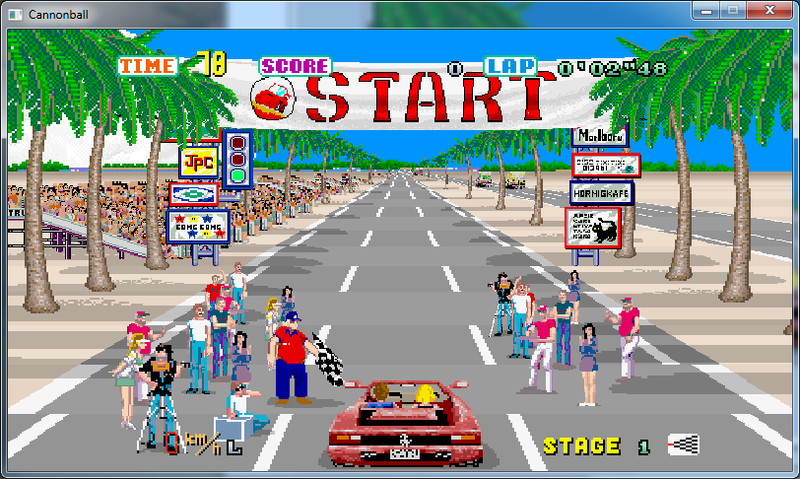 It's the 27th anniversary of OutRun and we're long overdue a post about what I've been upto. Things may have seemed quiet, but that's only because I've been working intensely on LayOut behind the scenes. I say intensely, but as I'm married, 33 years old and have a full-time job in the games industry, finding spare time to program can be a luxury! 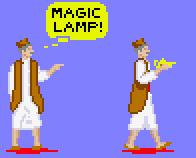 Excuses aside, yes, I thought I'd finish this project sooner. It would have been great to release LayOut for the anniversary. However, during development I came to the realisation that producing an editor people loved was more important to me than simply releasing a rushed product. And this is a hobby, so it's important that I love working on it myself. Full visualisation of the stage you are editing. All changes are shown in realtime. This uses a special widget that is an enhanced version of the core OutRun rendering engine from CannonBall. 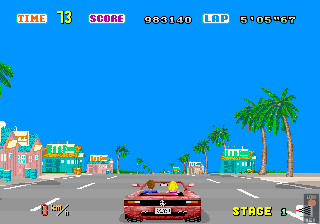 Import and edit existing OutRun levels including unused/hidden levels. 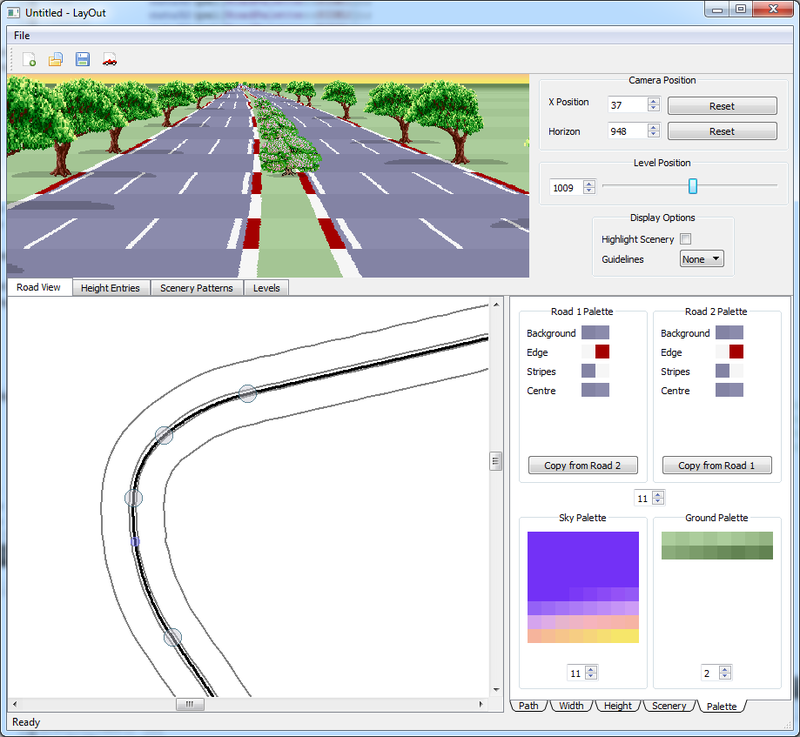 Define the path of the road, set the number of lanes and split the road into two. 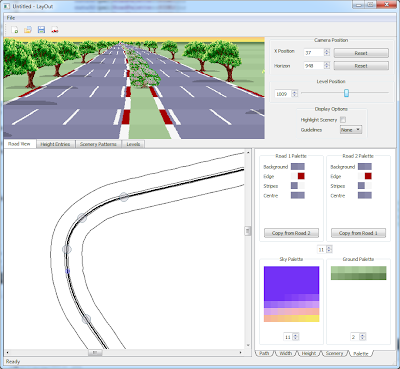 Create 2D height maps, apply them to any section of road and preview your work in realtime. 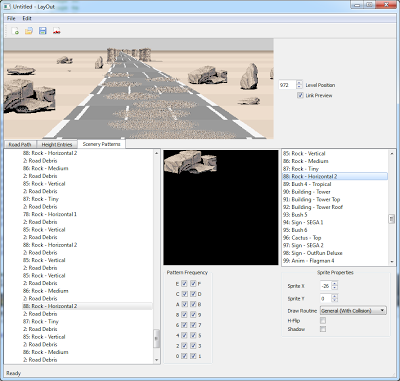 Every option is configurable, including options available in the original engine but not used by OutRun's levels. Define your own scenery patterns. All options are configurable: shadows, sprite positioning, horizontal flipping, palettes, the internal engine draw/collision routine to use, repeat properties etc. Change the road, sky and ground colours. 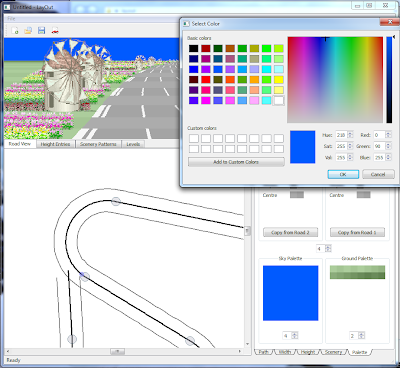 I will also implement sprite palette editing in the future so you can change the colours of everything in-game. 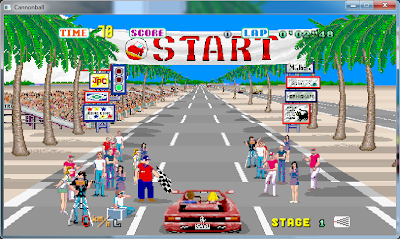 Easily change the order of your levels, and map them to the 15 stages available in OutRun. Easily export to CannonBall. 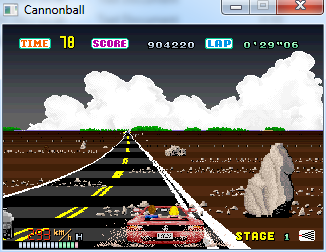 I'm simultaneously working on a new version of CannonBall to handle the exported level data. 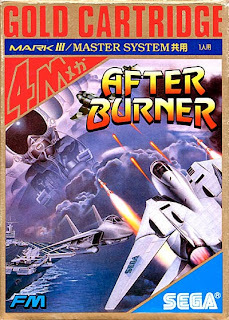 Shortly after release, I will work on an exporter that allows you to write directly to the original arcade ROM images. 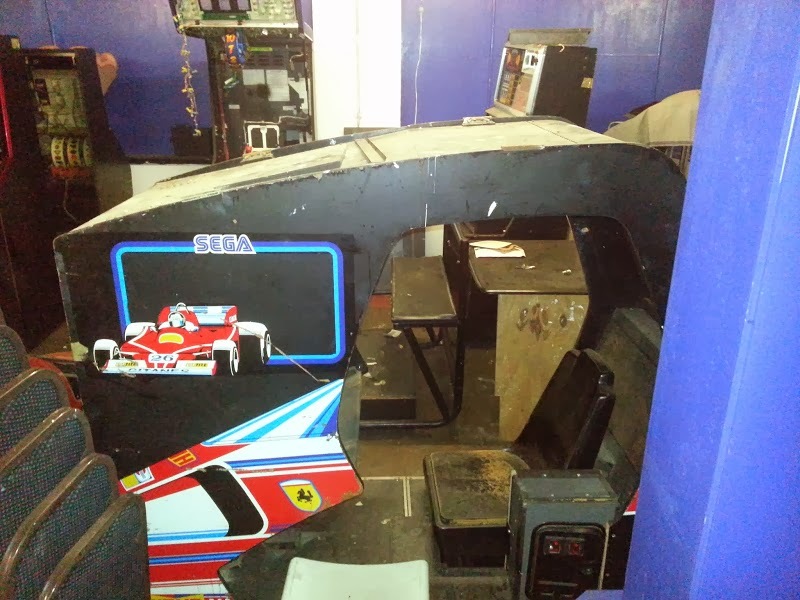 Yes, you'll be able to play your levels on arcade hardware. 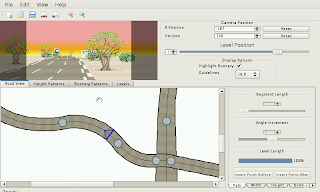 Coded using QT, the editor will function on Windows, Mac and Linux. 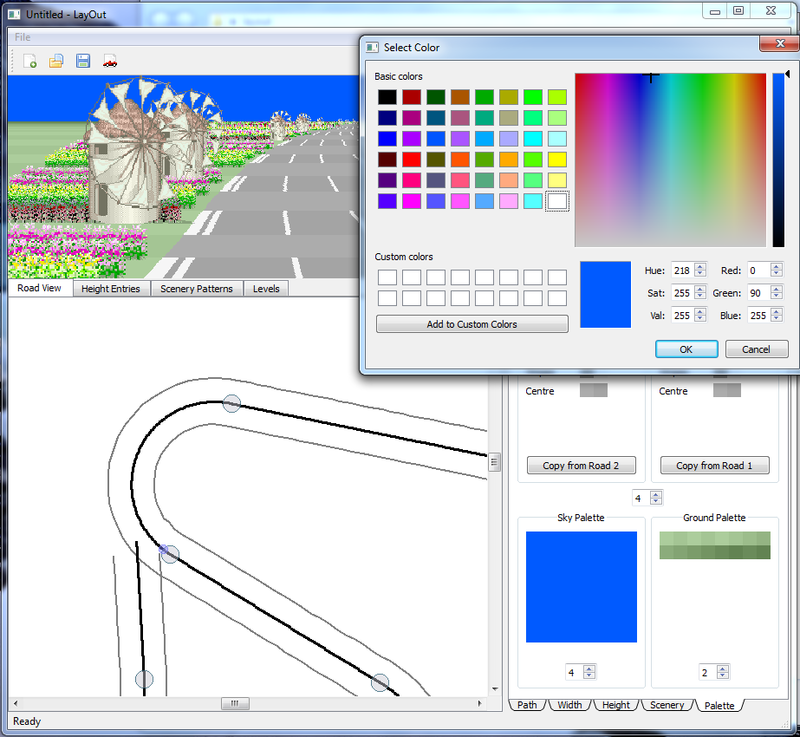 The editor will be released under a similar non-commercial license to MAME. 1/ What about other games? Whoooa one step at a time fella! 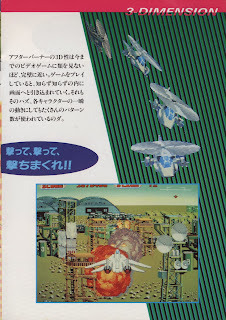 Super Hang On uses a very similar track format so it wouldn't be inconceivable for me, or you, to add support in the future. 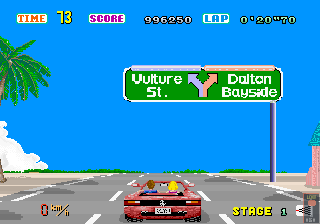 But let's get OutRun to a good place first. 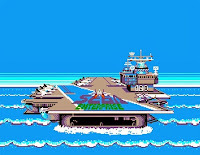 2/ What about sprite editing? 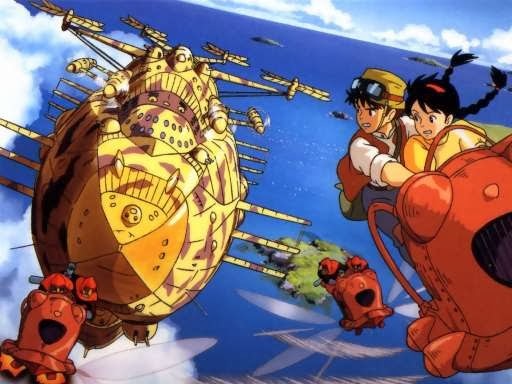 Yes definitely, in a future version. It's more complicated than you might think to do this properly. 3/ When will this be released? I would expect November 2013 at the latest. Followed by a series of frantic updates. I’m also thinking that we probably need to get a forum setup for discussion once the editor is released. Does anyone fancy hosting that? It's a good opportunity to show that CannonBall is pretty fast (some people doubt this). 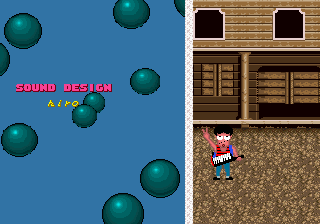 It will be pretty cool when LayOut is finished to be able to play a customised level by simply clicking a link. No download or messing around with files. It's interesting to me from a technical/tinkering perspective. But actually this is more promising than it may appear. The entire codebase compiles and begins to run. 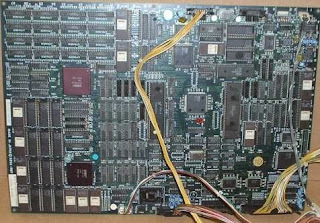 It's simply stumbling on finding the roms as I need to package them with emscripten's file system. 1/ Followed the tutorial here for the Windows setup. I failed to get everything working from within Visual Studio 2010. Suspect this is an issue with a 32-bit VS 2010 process trying to spawn a 64-bit process as part of the toolchain. But actually fixing this issue proved problematic as I couldn't get clang to compile under Windows, so was unable to compile a 32-bit version to test this theory. From reading some forum posts, it appears that using Windows 8 would probably solve this issue and the prebuilt clang would work. 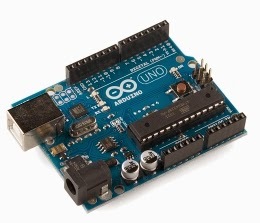 2/ Switched to using a Unix/MinGW approach. Plugged the following platform file into CMake. Ran mingw32-make; prior to this point the makefiles are butchered by CMake to work with Clang and emscripten instead of MinGW. 3/ Created a customized emscripten.cmake file, which essentially doesn't do very much. 4/ Fixed the three million compiler warnings reported by clang. It's a more fussy compiler than VS or GCC. I also removed the dependency on the boost library for now to speed up getting something working. 6/ Loaded the file into a web browser. 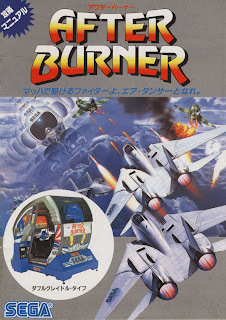 It fails in the way we would expect and spits out some sensible output about the roms. Hurrah! Overall, it's only taken a couple of evenings to get this far. And most of this time was spent messing around installing stuff, and failing to get things working in Visual Studio. Once I hit upon the right approach, things went relatively smoothly. Edit: Couldn't resist implementing the file system before bed to see what happened. It kind of runs. But obviously not very well as there's a bunch of stuff I need to do like replace the main loop. Not sure on the colours for now, but probably an easy fix. Unfortunately, it's using the software renderer for now. The OpenGL renderer would need a rewrite to make it WebGL compatible. It doesn't just work out of the box. If anyone is desperate to work on this further, I can check my work into git for them to mess around with. I may work further on this in the short-term or I may switch back to LayOut again! I also tested on my Samsung Galaxy S3 phone. It runs pretty well on the Firefox Beta browser (maybe at around 20fps). There's no way to actually control the game though! It runs like a dog on Chrome. The results are outstanding. 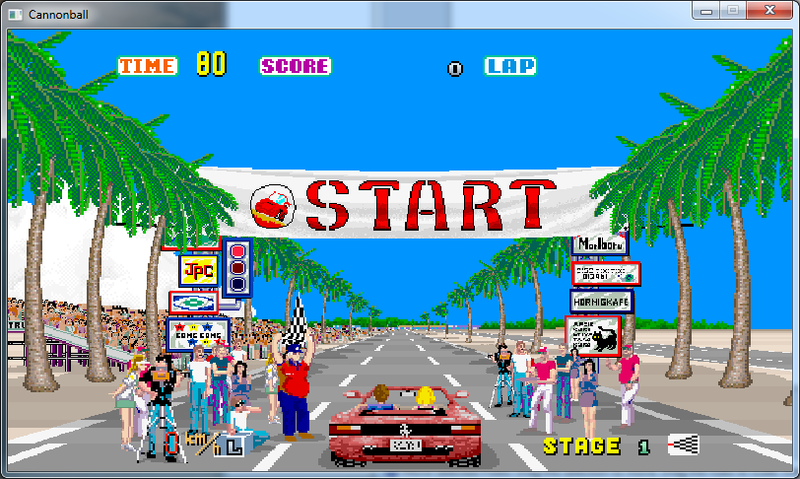 Unthrottled, the engine runs in widescreen at 80fps in Firefox on my desktop PC. The results are decent on a fast enough PC with Chrome or Firefox Nightly. Large performance improvement, especially when using full-screen mode. 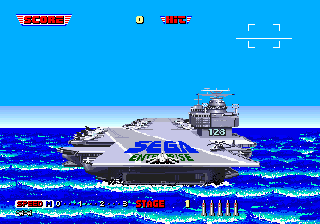 Scanlines can now be used in both full-screen and stretch modes. 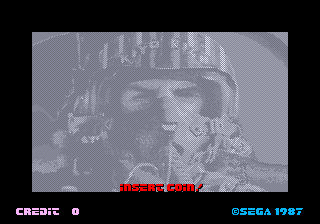 Filtering can be toggled in the config.xml for a softer look, similar to MAME. The old software renderer will still be supported, but is toggled at compile time by unsetting the OPENGL flag in your build.cmake file. 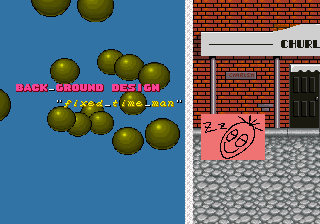 A minor bug was fixed in the road rendering. 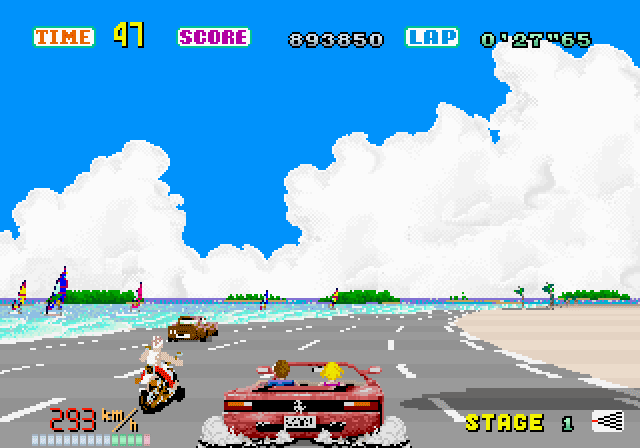 This occasionally caused road pixels furthest into the horizon to be displayed at the wrong position. 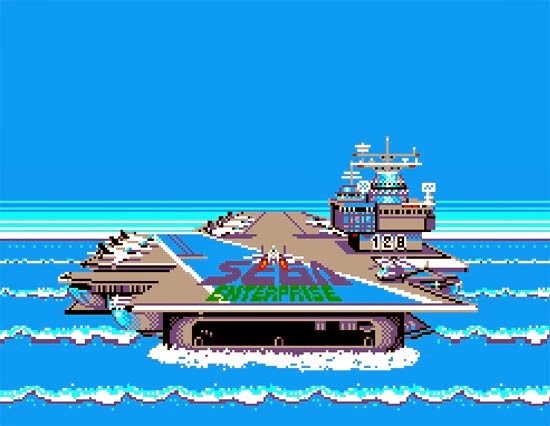 In widescreen mode, sprite clipping is now correct, so sprites close to the camera aren't deactivated so aggressively. This is most noticeable on levels with wide grassy strips etc. I'd consider this build beta for now. Please try it out and let me know if you spot any problems. If I haven't broken anything along the way, I will update the main page. Then it's back to LayOut, which has been neglected a little lately. Marcus has also updated the Mac version here. Thanks to Legooolas for having a stab at the OpenGL code originally. In the end I rewrote everything myself as I wanted to untangle the SDL rendering code from the native OutRun video code. So now the codebase is a little cleaner in this area. I'm starting a new job soon, so there's likely to be a short break in proceedings. In the meantime, here's a video showing object placement and the new preview window. This makes using LayOut so much more fun. Progress is a little slower than I would like, but hey, we've waiting 27 years for this so maybe it's not really an issue. Those of you who watched the previous LayOut video will have noticed one significant problem; whilst editing the track technically worked, the visualization of your actions leaved something to be desired. 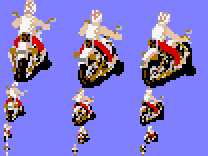 As planned, I've moved on to editing sprite placement next. And in doing so, I incorporated a real-time preview of the changes you are making. 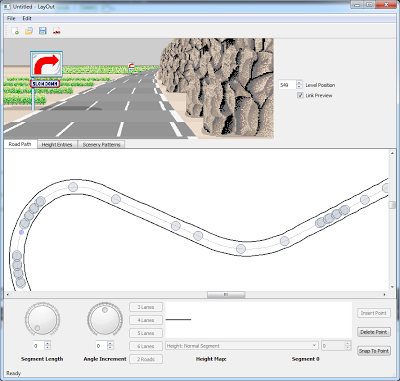 If you create a new curve, hill or even change the placement of an object, this is updated in real-time. You can also change the camera angle by dragging in the preview window with the mouse. In this screenshot, I've imported the Devil's Canyon track. 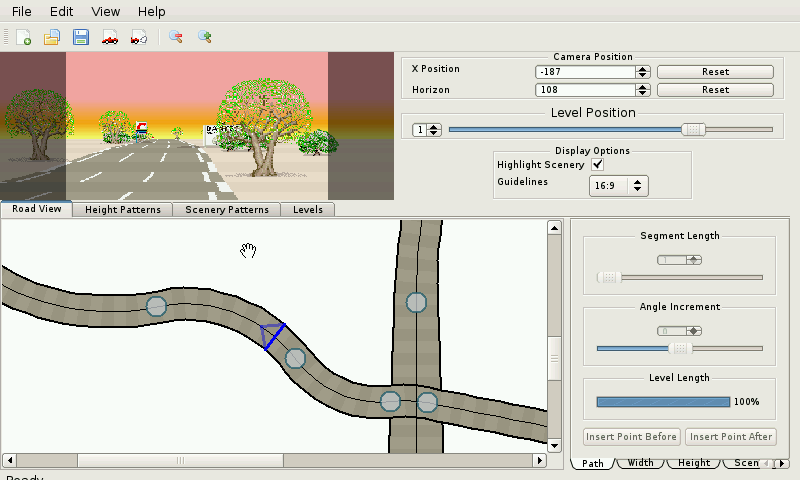 The 2D path is shown in the lower panel, and the actual rendering in the top panel. The panels can be linked so as you scroll through a level, the placement remains in sync. The 2D window is in scenery editing mode. 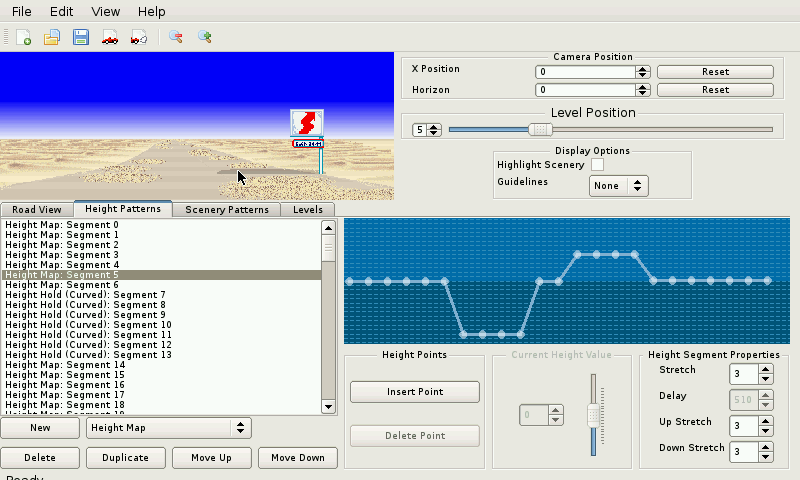 The large dots indicate the start of a 'segment' of scenery items. 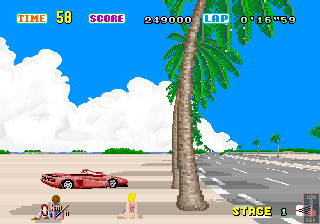 Scenery in OutRun is segmented like this, so that patterns can be reused multiple times to save on storage space. Each time you use a segment, its length is variable. Segments wrap if the length exceeds the number of items in the segment. 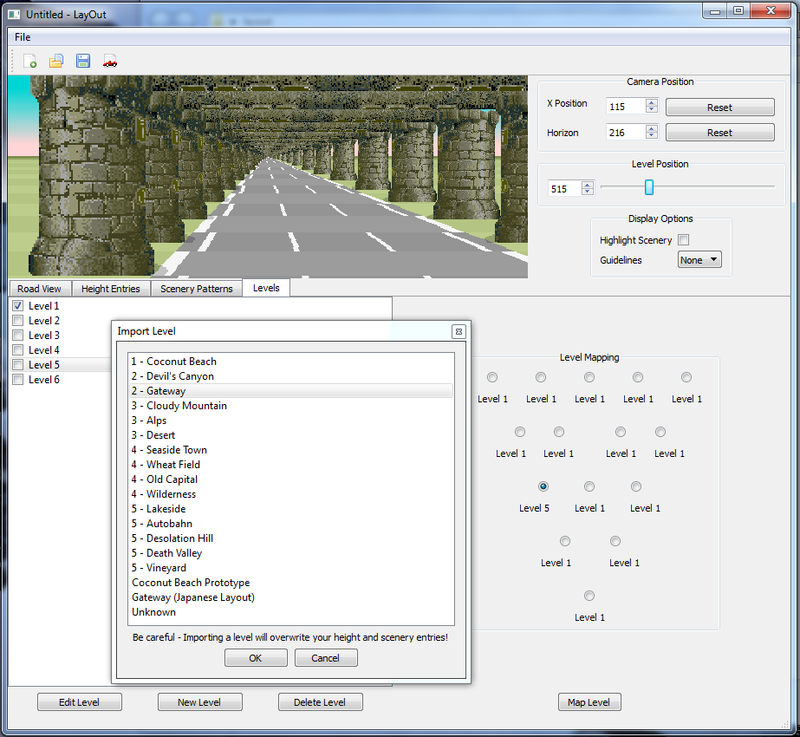 Switching to the scenery tab, you are immediately linked to the segment selected in the 2D view. 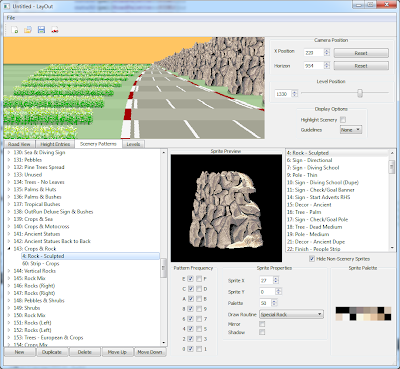 There is a lot of complexity here, and I haven't even finished work on this part of the editor. The list on the left represents the segment and shows the list of items used in this section. Here you can see items including, rocks, road debris and so forth. The timing at which this list is rendered is affected by the pattern frequency. The engine can render two sprites per road position. Although it's possible to create the illusion of more. For example, on the Gateway stage the top beam is actually positioned behind the pillars. Or you can adjust the y values in some cases. Clicking an item in this list invokes object specific properties on the right hand side. 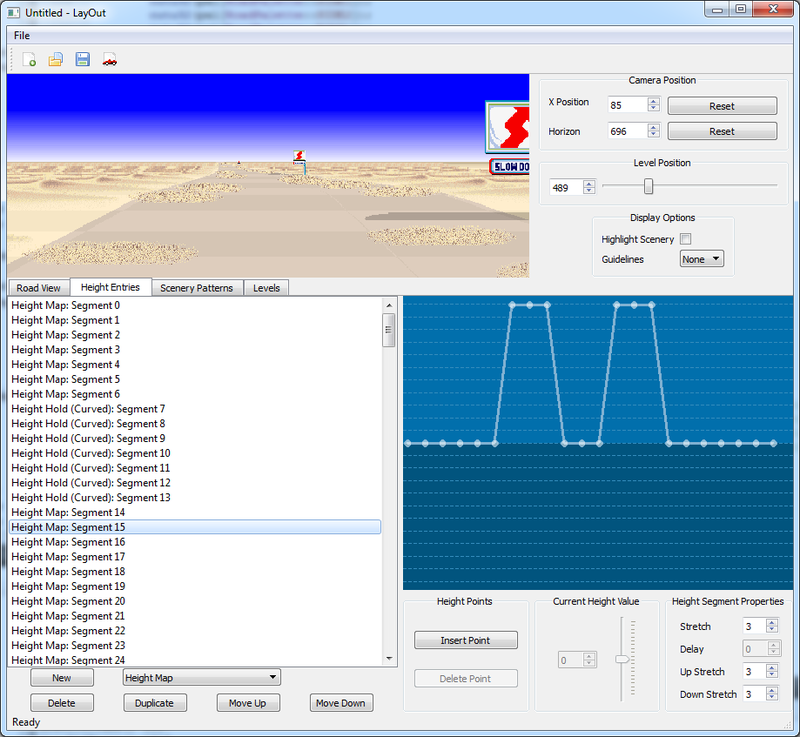 In this case, you can edit the x and y position, select whether to horizontally flip the sprite, whether the object has a shadow and the custom draw routine used. Changing these properties only affects a single entry of the item in the segment. 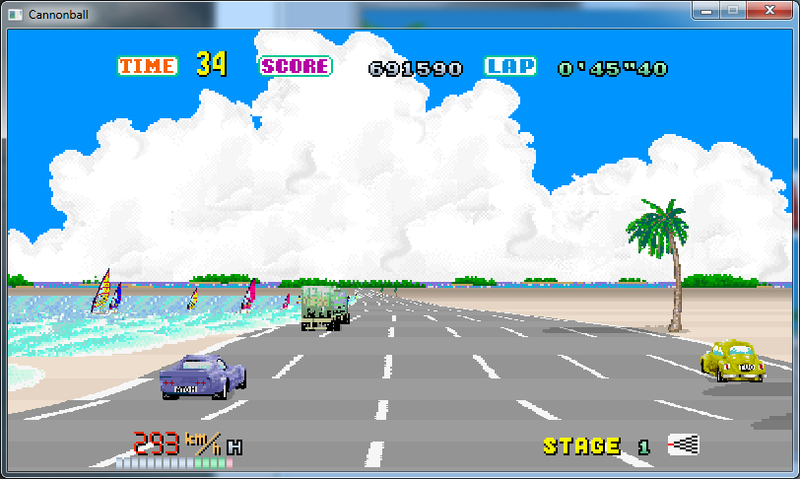 All of this is of course based on how the original OutRun engine works. Where we deviate from how the original engine works is with the new preview window. The preview window is cool because you can just say 'show me the track at position 704'. The original engine doesn't work like this; it must render the entire level from start to finish. If you were to hack the original game so that each level started at position 704, you would see something completely incorrect. Similarly, there is no easy way to reverse backwards through a track and this is now possible. The downside to this is that it adds complexity and possibly bugs where the rendering deviates. The upside in terms of previewing all changes in real-time is immense though. 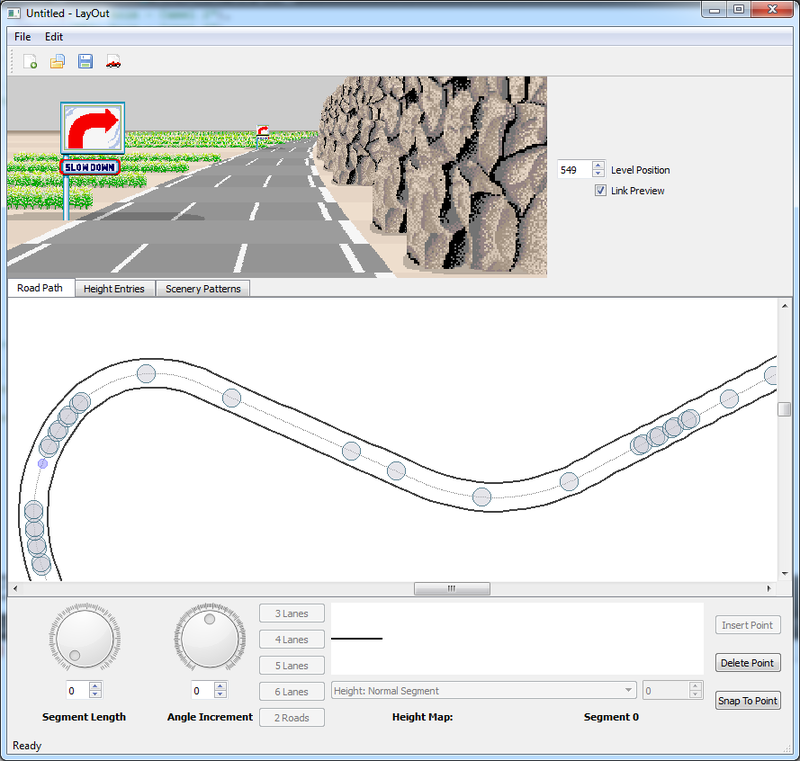 You can position the camera on the track, create a curve and watch the environment change in front of your eyes as you turn a dial. There's still a lot of work to do; it's a relatively complex project, which I guess is why no one has attempted it before. Additionally, I haven't done a lot of GUI based application development before, so I'm learning as I go. Neil from the OutRun and Space Harrier Replicas project has kindly made this rather stunning logo for CannonBall. 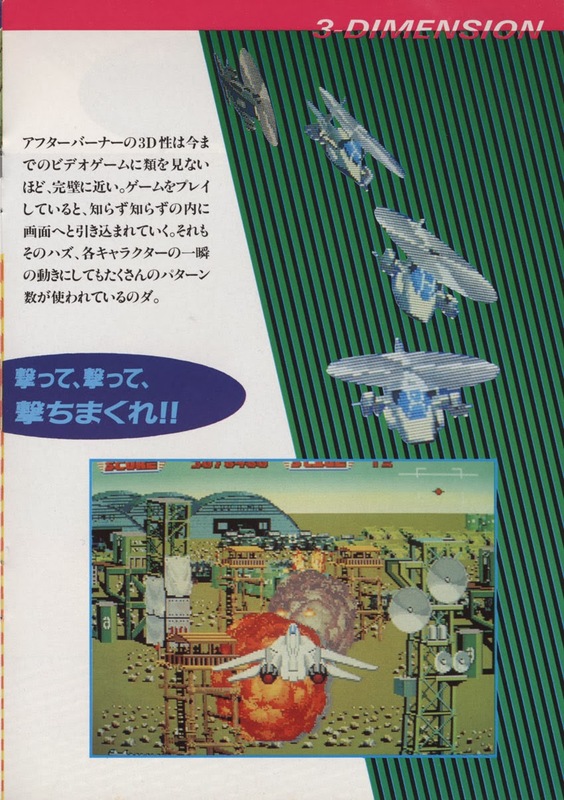 For now, it's only featured on the CannonBall page, but I will incorporate it into the build itself in future. I do plan to get back to CannonBall and add hardware rendering and other new features when LayOut is released. I also moved the standard CannonBall download page to a new cleaner page on github. The old blog page was full of dated comments and somewhat messy.